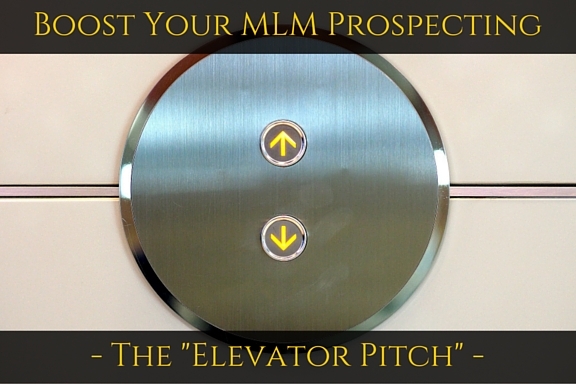 Boost Your MLM Prospecting With The "Elevator Pitch"
So what is the elevator pitch? The elevator pitch is a short, 30-second presentation, meant to generate interest and curiosity, so that the person hearing it will want to know more. It describes in non-technical terms who you are, what you do and the prospect’s benefits for taking the next step. It has been nicknamed an “elevator pitch” because it should be short enough for you to say it in the time it takes to ride an elevator. Every networker needs to have their 30 second elevator pitch. Know it by heart and be able to use it naturally in conversation. There are many opportunities to connect and talk to people, and in our busy, fast paced world, we usually only have a few moments to grab their attention. As networkers, we should be talking to everybody we meet, and sometimes we don’t have much time to do it. How many times did you have a great opportunity to interact with someone and you’ve said nothing about your business because you were confused about the right thing to say? How many times did someone ask you “what do you do for a living?”, and you just talked about your day job because you didn’t know how to explain what you do as a network marketer without sounding salesy and turning them off? If you’re not ready to react when the moment comes, by the time you think about the perfect thing to say, the opportunity is usually long gone. Having an elevator pitch ready will greatly improve your MLM prospecting efforts because you can use it in many ways. Because it’s fast and to the point, you can use the elevator pitch on multiple occasions. You are only limited by your imagination. Here’s some ideas. – You can use your elevator pitch for direct prospecting, like when you go through your list and contact people to tell them about the business you’ve started. Or when visiting local businesses to prospect the owners. – You can use it as an answer to the “what do you do” question. – You can use it every time you meet someone new and you introduce yourself. – It can be used as your introduction at networking meetings. 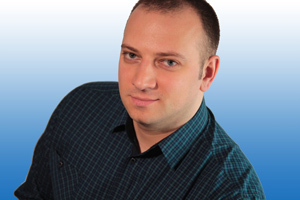 – You can use a slightly modified version of your elevator pitch as an ad for your business. – When you’re speaking on the phone with cold market prospects. Use your elevator pitch to introduce yourself, and then ask questions to see if your prospect has an interest in learning more. – When you leave a voice mail message. Instead of just stating your name and phone number, use the elevator pitch too. This way only people that are interested call you back, so you’re using your time more efficiently. – On your own voice mail message. When you record your voice mail message, use this opportunity to advertise and promote yourself with the elevator pitch. – On your business cards or flyers. Create a short version of your elevator pitch that you can put on all of the printed materials you use for MLM prospecting. – You can use the same short version of your elevator pitch on your website, as a message in the header or as a banner that links to your “work with me” page. – Another great way to use the elevator pitch is to have it in your email signature. That way every email you send includes your advertisement. – If your MLM prospecting strategy is to participate in the forums that are used by your prospects, you can use your elevator pitch as your forum signature. That way it will be seen every time you post a comment and people will contact you to ask for more info. These are just a few of the ways you can use your elevator pitch. If you have other great ideas make sure you comment and let me know about them. Even though it seems simple, your elevator pitch needs to have certain components and carry some important messages. It needs to say enough to raise interest, but also be short so it doesn’t sound pushy or salesy. First of all you need an “icebreaker”. This part will vary depending on the situation and the person you’re talking to. Observe their clothes, their hair, their facial expression, what they’re holding in their hands. What’s unique about them? Pay them a compliment, ask them a question, whatever you need to do to strike up a conversation. Smile! Example: “That’s a very nice suit, what do you do for a living?”. This part is all about being interested in them. Pay attention to their answer. Use this as an opportunity to find out more about them, as you want to see if they qualify for working with you. Now for the elevator pitch. Going up? 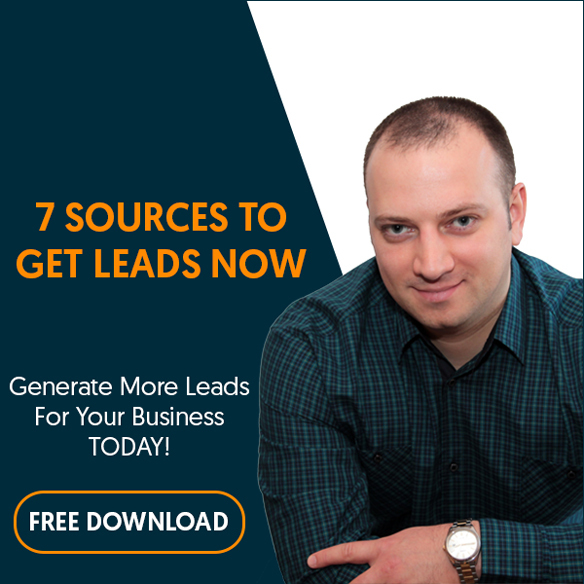 Share some benefits of the products or business opportunity, depending on what you’re after in your MLM prospecting efforts – a customer or a business partner. Remember to keep it as simple as possible. Don’t use direct selling terminology; that will only confuse them. If you’re going the product way, think about 3 or 4 things your product or service does for your customers, and chose the one that you think will be the most attractive to your customer. Now, this is very important! Don’t talk about the characteristics of the products, or what they’re made of, like so many amateurs do! Talk about their benefits. What does your product do for your customer when they use it? If you’re going to talk about the business, talking about the benefits your opportunity brings in the lives of the people involved is critical in MLM prospecting. Don’t confuse prospects with volume points, compensation plan structures, and all kinds of technical stuff. Talk about things like financial and time freedom, the ability to be there for your kids, going on free vacations, and so on. Chose one or two. Remember it’s called an elevator pitch because it’s short, don’t talk for 10 minutes! There are two ways this can play out. If your elevator pitch has raised enough interest in your prospect, they will naturally begin to ask you questions, and you may not need the call to action. If they don’t start asking questions, your call to action should be crafted in such a way that it encourages conversation. Use these guidelines and create your own version of the elevator pitch for your MLM prospecting goals. Let’s take a look at some examples of what a complete elevator pitch for MLM prospecting might look like. These are just a few. Notice that they are non-threatening. They aren’t asking anyone to purchase anything or to commit to anything. If they’re open, exchange contact information and schedule a time to meet. Remember, your goal is not to present then and there, but to get them interested in hearing more. You can have multiple versions of your elevator pitch, for different product lines or different kinds of prospects. A real estate agent meeting a young couple might say: “I help young couples find the house of their dreams”, while his pitch to an older couple could be: “I help home owners get top dollar when they are ready to sell their homes”. That’s also the case for MLM prospecting. You should at least have two versions, one for your opportunity and one for your product, and use them accordingly. Practice it until you’re able to say it comfortably and naturally, not perfect. It’s a good idea to record yourself using your phone, so that you can improve your posture, tone, eye contact, excitement level, and so on. Ask a friend or your upline to act as your prospect and tell you where they feel there’s room for improvement. Finally, don’t take rejection personally. If that’s what stops you, you can learn How To Conquer the Fear of Rejection. If you enjoyed this post on how to Boost Your MLM Prospecting With The “Elevator Pitch”, share and comment below!